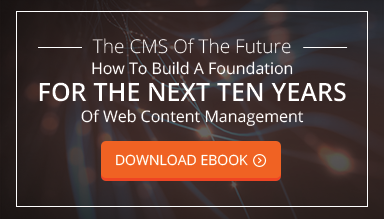 The beauty of a custom-built content management system (CMS) is that you never have to worry about it being acquired by a larger company with big changes on the horizon. Not only is a custom CMS stable, secure, and ready to be updated when you need it to be, but it’s also only used by your company for its needs. With that in mind, the same cannot be said for enterprise content management systems. In fact, there is a pretty turbulent history behind how the most common enterprise systems like OpenText ECM and Oracle’s website content management (WCM) platform became what they are today. After reading the post “A Short History of Mergers and Acquisitions in the WCM Space” by Digital Analyst Marianne Kay, there are a few insights I would like to share with you. Enterprise platforms aren’t always as stable as they seem. With enterprise systems, changes and updates happen frequently, so it’s only a matter of time until you have to relearn how to use your CMS. The developers are often looking to patch holes and find new ways to update the system. Typically, an account rep that is assigned to you may be there to guide you through the changes and transitions along the way. But the important thing to note here is that there are changes and this process is necessary. With a custom CMS, you have the option of waiting 5-7 years to update your platform. When the need arises to make a change, your web development team is just a phone call away. Off-the-shelf enterprise WCMs’ user interfaces aren’t always user friendly. Even with the bigger CMS platforms, if they are off-the-shelf, you’re still at their mercy. Templates force you to create your workflows around the technology instead of having the ability to create your CMS to fit your needs. With a custom CMS, it’s possible to have specialized permissions, customizable dashboards, and reporting all worked into your user interface. Learning how to use your CMS is simple and nothing changes unless you request it to be changed. There is no comparison for the customer service that comes with a custom CMS versus an enterprise CMS. As mentioned above, an account manager is typically assigned to you when you commence working with an ECM platform. It’s unusual to have an account manager that is only focused on servicing your business. Chances are, they have many other clients and may not be able to answer your questions immediately. When you work with a web development agency that builds custom systems, you are dealing with a team of experts who will get back to you right away. While you won’t be an agency’s only client, you will have a whole team behind you. Every time you send an email or make a phone call, there will be someone on the other end waiting to solve your issues. Bigger doesn’t mean better when it comes to mergers and acquisitions in the enterprise CMS world. According to Kay, the author of the article mentioned earlier, many acquisitions failed to deliver on their promises and proved to be customers' worst nightmares. The example she mentions specifically is Collage CMS, which didn't just fall behind the competition after its purchase by Serena Software in 2004, but was actually discontinued. Another example cited in the article is RedDot CMS, which was first acquired by Hummingbird, then bought by OpenText; then OpenText acquired Vignette and added a third WCM, HP TeamSite. Somewhere along the way, many experts jumped ship and the future of RedDot became uncertain. The reality with an enterprise CMS is that you just don’t know what road lies ahead. It may be working perfectly now, but in a few months or years’ time, its stability and reliability can change. A custom CMS is often the better option because its stability is predictable, making it highly reliable. An added bonus is that custom builds also come with a great customer service team ready to help you when you need them most.